We hope you enjoy our beautiful Chincoteague Island and when you want to invest in Real Estate on the Island or anywhere on the Eastern Shore, we hope you choose one of us as your agent. Gladys Baczek (pictured left) is an original Chincoteaguer and Anita Merritt (pictured right) came to Chincoteague in 1975 and is married to a Chincoteaguer. We know and love the island. 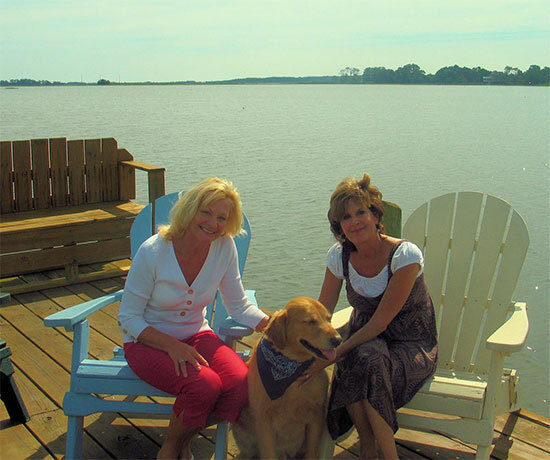 Friends for over 35 years and both of us have been selling Real Estate on Chincoteague Island since 1987. In 1999 we opened our Vacation Rental business Harbour Rentals LLC. Real Estate is our business and we are both multimillion dollar producers and ranked in the top 10% of agents nationwide. Dedicated to our clients needs whether it’s selling, buying or property management let our experience work for you. Affiliated with Coldwell Banker Harbour Realty the largest real estate company on the Eastern Shore.